The Computer Science & Engineering discipline emerged as a technology dependent economy over the last few years. 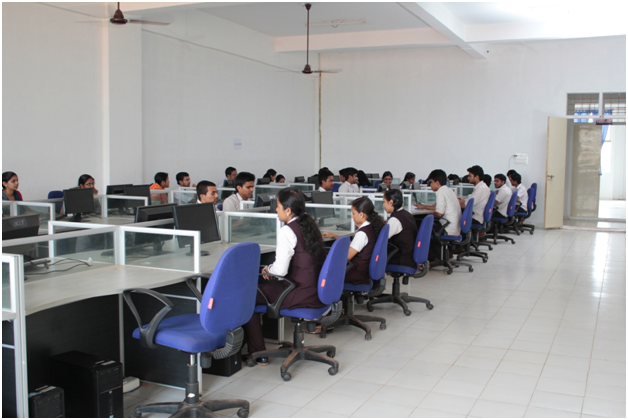 The Department of Computer Science & Engineering helps the student to acquire the knowledge, skill, and attitude to succeed as an Engineer or Scientist in an industry, built on Computational technology. Apart from extending training to the undergraduate students within the frame work of the university curriculum, special emphasis is given for further value addition by way of imparting training to the students on emerging areas that cater to varying needs of students who desire an IT oriented carrier. As a collegial Department we provide and support high quality education and training to encourage independent and thinking and initiatives. A close rapport is maintain with researchers of computational interest in other Universities within the country and abroad. Faculties and students co-ordinates with investigators of available research Institutions or industrial organizations to be at pace with the fast changing trends of IT industry. ✔ To impart quality education to the aspiring students of engineering in Kannur district and to create a high level of confidence to solve various engineering problems. ✔ To provide a perfect blend of Technical skill and soft skills to face unique challenges and move ahead. 	Jithika M & Rashmila G V of 2015-2017 MTech-CSE batch are top scores in Kannur Cluster KTU University Examinations.